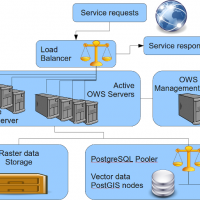 We provide maps and layers through standard OGC services and WebGIS applications. Our aim is to disseminate information on landslides and floods hazards and the related risk. 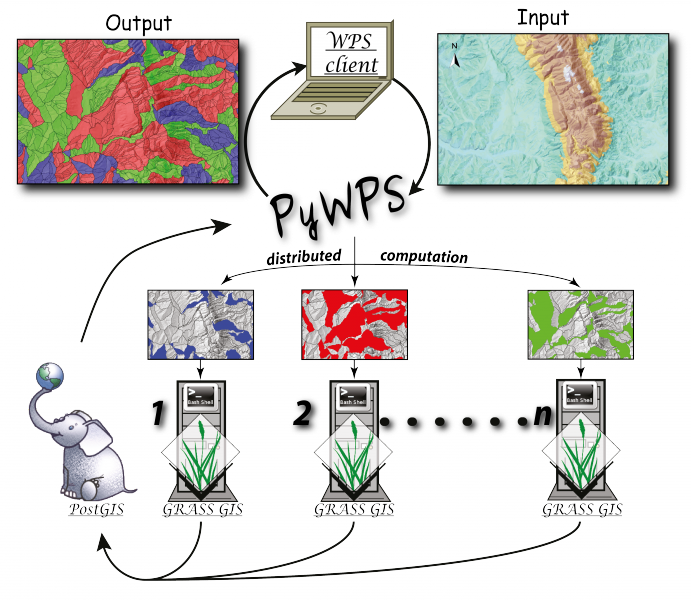 More specifically the services focus on thematic data concerning landslides and floods, including: (i) landslide inventory maps at different scales and covering different geographical areas, (ii) landslide susceptibility, hazard and risk maps, and (iii) information on historical landslide and flood events. 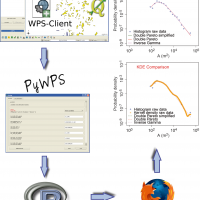 Moreover some processing services (WPS) are published. Users are researchers, decision makers, technicians, citizens. With the category of “researcher” – we define an expert with extensive and deep knowledge on geo-hydrological risks and hazards. He’s interested, in particular, to obtain information and data that can be used in combination with other ones he already has. With the term “Decision Maker” we identify a person with a variable level of knowledge (from none to high) on the issues relating to the geo-hydrological risk and hazard. He’s interested to obtain useful information to make informed decisions. Examples are the technical offices of the Civil Protection, of Environmental Protection and of Territorial Management. With the term “Technician” we classify subjects with a knowledge level from medium to high of the geo-hydrological risk and hazard. He’s interested in obtaining data for professional reasons and information on a small area, a specific territory or a particular phenomenon of instability. The category of “Citizen” includes individuals usually without specific knowledge relating to the phenomena of geo-hydrological risk and hazard. A “citizen” is interested in focusing on specific topics, in restricted areas, for personal culture, or a specific and contingent interest. Data are acquired from newspapers, sensors, field measurements, or services offered by third parties. 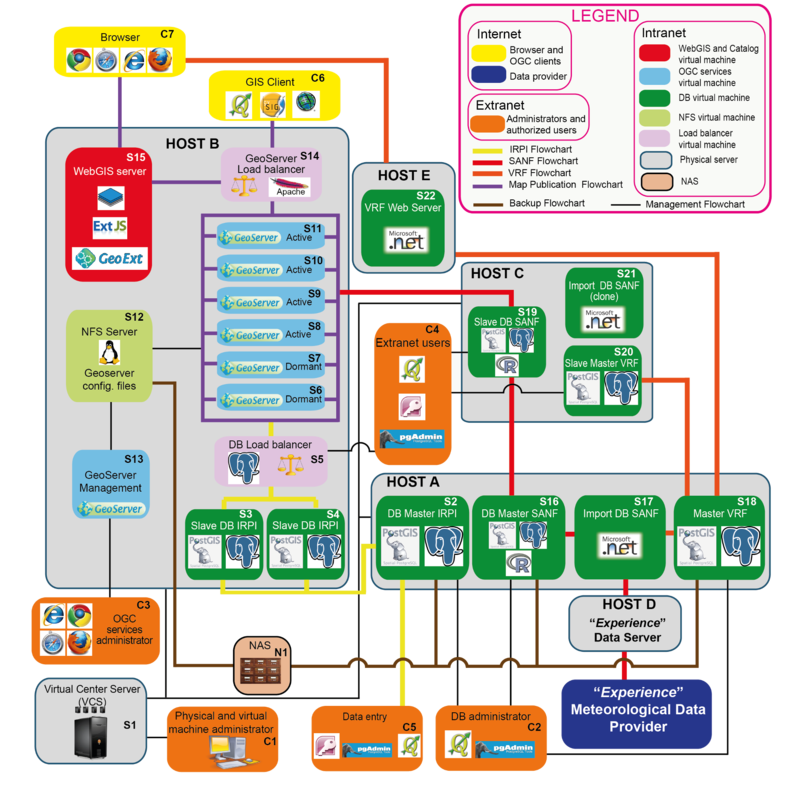 The management of the data is done through relational databases management systems. 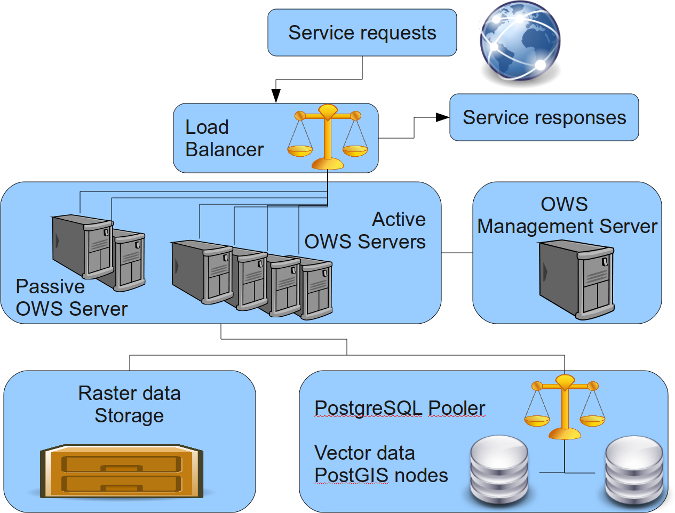 The software used for the implementation of the databases is PostgreSQL (http://www.postgresql.org), an enterprise-class RDBMS, and its geographical extension PostGIS (http://postgis.refractions.net/). 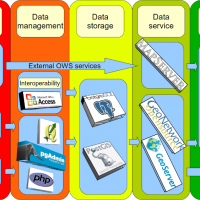 The publication of the cartographic information is done through OGC (Open Geospatial Consortium) services: WMS, WFS, WCS, CSW. 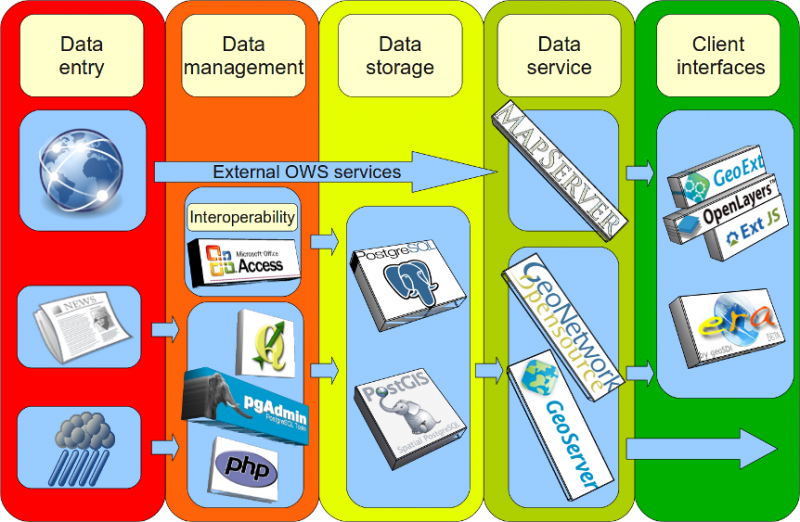 The infrastructure exploits different softwares: GeoServer (http://geoserver.org) , GeoNetwork (http://geonetwork-opensource.org/) and UNM Mapserver (http://mapserver.org/). 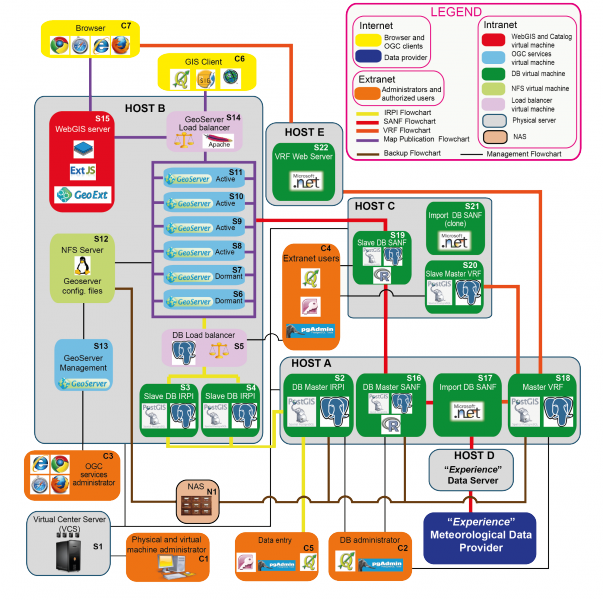 Currently, more than 200 maps concerning geo-hydrological risk and hazard are published as WMS (Web Mapping Service). By means of a catalog and discovery service (CSW Catalog Service for the Web) the users can look for the layers searching by keyword, attribute, region, author, etc.. Services WFS (Web Feature Service) and WCS (Web Coverage Service) are also available, but only for authorized users. 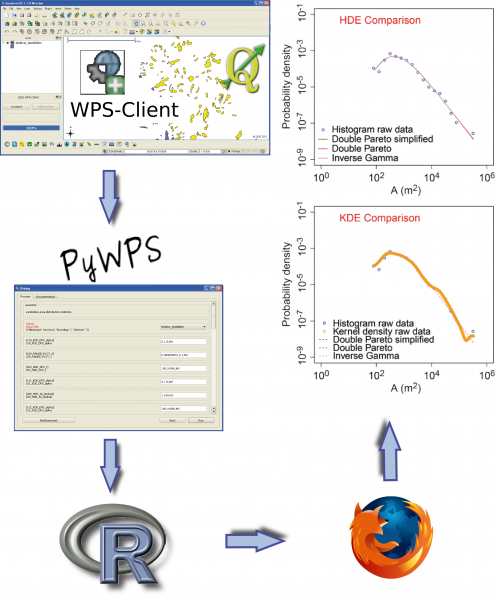 Some WPS services are also available.